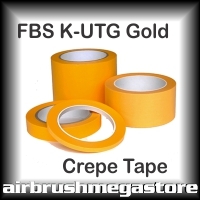 America's famous paper crepe tape is single coated 1/18",it is stabilized with a lacquer edge for exact color seperation in curves,lines and uneven surfaces. It will curve a line around a five cent piece ready for spraying. 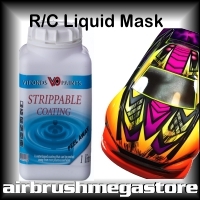 It is both solvent basecoat and water-based basecoat friendly, eg: Auto-Air Colors, Auto-Borne Colors and Wicked Colors. 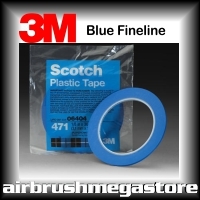 Uniquely constructed, vinyl backed tape for outstanding paint line definition. The most flexible and conformable, it provides masking protection for complex curved lines, sharp curves, irregularly shaped panels, over rivets and into seams. 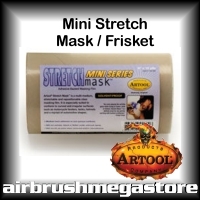 Artool Mini Strechmask size is 6"x 10yrdsStretchmask is a multi-medium, stretchable and flexible repositionable masking film. 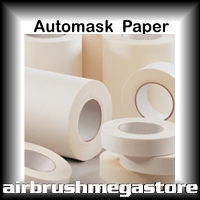 It is especially suited to conform to curved and irregular surfaces such as motorcycle tanks, helmets and automotive shapes for painting. 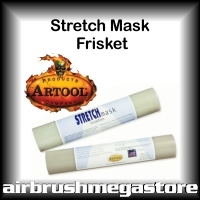 Artool Strechmask size is 18" x 25 Yrds Stretchmask is a multi-medium, stretchable and flexible repositionable masking film. It is especially suited to conform to curved and irregular surfaces such as motorcycle tanks, helmets and automotive shapes for painting. It is clear, thin film that cuts very easily with any brand of art knife or single-edged razor and can be effortlessly manipulated and repositioned with your artwork always in view. 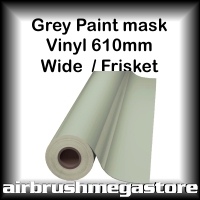 This product is waterbased, apply a thick coat of approx 2-3mm with paint brush or 2mm spray gun, drys clear and touch dry in 1 hr unforced and ready for use at 4hrs. 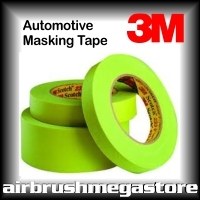 Excellent for helmets or rounded surface, cut your graphics and peel out in colour sequence. Having no adhesive means easy clean up and application, apply light coat of colour on the first two passes to seal the edges.